The HW-607 ESP32 Board with a CH340G Serial to USB chip. 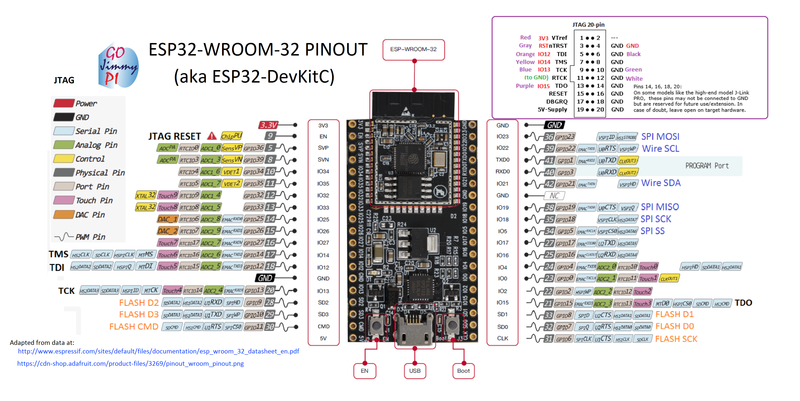 The Examples for the ESP32 become visible after selecting ESP32 DEV MODULE in the Arduino IDE. Set the flashing speed to 460800 or lower. It could be necessary to start the IDE with administrator rights, too. The I2C address of the screen is 0x3c. IO pin 34 and pin 35 don't work! Output is a signal between 0 and 3.2V with 76Hz.